Practical matters. 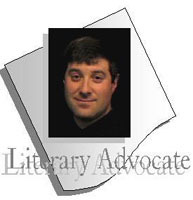 It is rare for a literary agent to provide writers with practical guidance combined with a prompt turnaround, but Jeff Kleinman has built a solid reputation for both practical advice and a lightning-round review of a writer's manuscript. However, many new writers might turn a deaf ear when they hear his comments because Kleinman talks about writing as a component of the business of publishing, not as a form of subsidized art nor as a path that requires only a talented writer's ideas. Publishing is hard work. Publishing is a business. And according to literary agent Jeff Kleinman, co-founder of Folio Literary Management, that’s where many writers go wrong. They have difficulty bringing their heads up out of smoke-filled manuscripts into the chilly world of rapid business decisions. Many writers don’t convince him of a project’s worth. For aspiring writers hoping to find representation, Kleinman says, being prepared will make it easier to sell themselves so agents can sell their work. One such work, an upcoming project he’s “absolutely, totally in love with,” tells the story of a journalist transformed after a year imprisoned in a leper colony. An unexpected voice in an intriguing landscape. Kleinman offers tips to writers: know how agents prefer to receive queries. The key to his lightning-fast manuscript reads: email. There was a time a few years ago when he would have requested three chapters in hard copy, but now he finds it’s much easier to read manuscripts on his computer in bed. With offices in New York and Washington, D.C., Folio has sold about 125 books, he says, and the fledgling agency grossed more than $5 million in its first year. Two of its most successful titles were “The Widow of the South” by Robert Hicks and “Mockingbird: A Portrait of Harper Lee” by Charles Shields. A recently published work is “Finn,” the story of Huckleberry Finn’s father, by author Jon Clinch. Folio Literary Management publishes books in genres ranging from commercial fiction, mystery, romance and thrillers to non-fiction, pop culture, book club fiction and health. The firm is in the process of creating a “mini lecture agency” for its authors and forming alliances with licensing agents. For more about Jeff Kleinman, read our interview from 2003 in which he talks about the exciting discovery of Ron McLarty's best-selling book The Memory of Running. To reach FLM's New York office, click on this link. Folio Literary Management.